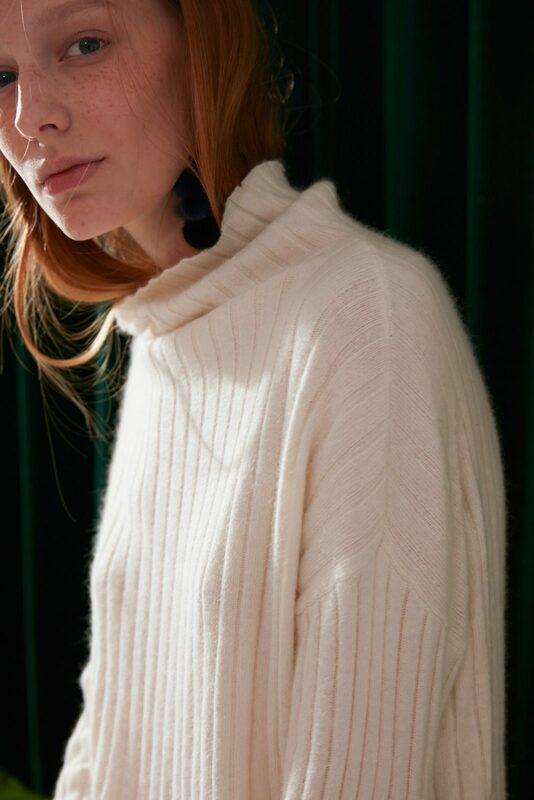 Cozy and elegant, this mock neck sweater offers effortless contemporary style. 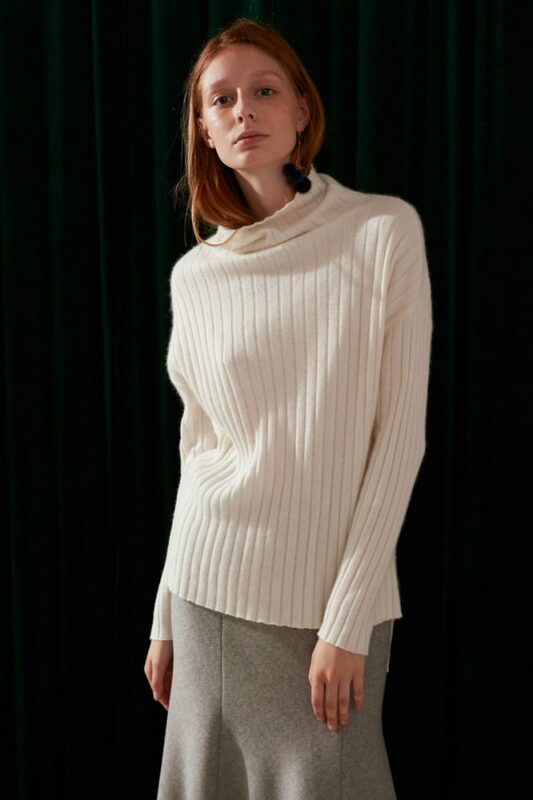 High neckline visually elongates lines of the torso; high low hem creates a flattering silhouette. Made with a medium weight, quality wool blend that is soft to the touch. Each garment is impeccably crafted with a premium 50% wool 25% viscose 25% polyamide blend. Machine washable on woolens, or delicate cycle. Use cold water and low spin. Lay flat to dry. Alternatively can be dry cleaned.